Prop Shafts. Works anywhere you need a grease that won't wash off or break down in water. Hinge pins. Mercury MerCruiser Gear Lube Oil Pump 91-8M0072133 Lower Unit Quicksilver FAST!! Maintenance reminders and historical maintenance information logs. Checklists associated with your boating lifestyle. Dealer locator and Primary Dealer selector. Fits all MCM/MIE GM engines, except V-6 without remote oil filter. Includes fuel fitting and bulb. Fuel line is short about 16" between bulb and fitting and 16" on open end. Hose is 5/16" ID. See pictures for details. If scratched, the surface inhibits continued corrosion. The freshwater flush system is engine-mounted. All of which makes for the ultimate in corrosion protection. Saltwater can take its toll on marine propulsion systems. This new synthetic blend oil was developed specifically for the greater demands of DFI outboard engines. Not intended to be used in all applications specifying a TC-W3 oil. 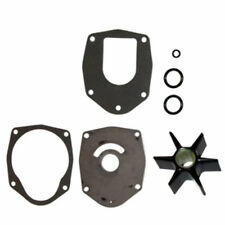 This kit includes the parts pictured to rebuild 1 (ONE) carburetor. Carburetor rebuild kits. Carb Rebuild Kits. Intake|Carb|Fuel. Intakes|Carb|Fuel. Complete Rebuild Kits. Maintaining your Jet Ski isn't always easy, with many Jet Ski parts difficult to find or unavailable because they've been discontinued. Oil Drain Pump. Complete water pump impeller repair kit. Includes Housing, liner, impeller, water tube, and all necessary gaskets, o-rings and seals. Made in the USA. Featured Products. 5PC DRAIN PLUG SET. Essential for transom bellow repairs! Bellows Adhesive. Featured Products. 5PC DRAIN PLUG SET. Minimizes carbon build-up to help maintain engine top end speed and acceleration. Superior lubrication for increased resistance to piston scuffing. Will mix with typical 2-cycle engine oils. The new synthetic blend oil was developed specifically for the greater demands of DFI outboard engines. Another item from Essenbay Marine! Stepped mounting plate. SKU# 89-96158T. 5PC DRAIN PLUG SET. Complete with and all the necessary seals and o-rings, impeller and all new and improved wear plate with integrated rubber gasket. 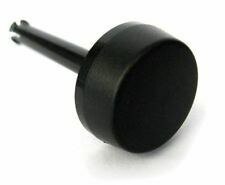 Replaces prior part number 35-802885Q and OMC part number 0502902 (502902). 75-115 HP 4 Stroke OG960500 & UP. 3.0L/3.4L All. 250HP 3.0L (EFI) OG1219222 & UP. 225HP DFI OG129222 & UP. 225HP 3.0L (Carb & EFI) OD280813 & UP. 200HP DFI (3.0L) OG386496 & UP. 135HP-275HP VERADO All. One Oil Filter, OEM 8M0065104. One Oil Drip Tray, OEM 8M0052100. Complete water pump impeller repair kit. Includes Housing, liner, impeller, water tube, and all necessary gaskets, o-rings and seals. Made in the USA. 5PC DRAIN PLUG SET. Complete with and all the necessary seals and o-rings, impeller and all new and improved wear plate with integrated rubber gasket. This new synthetic blend oil was developed specifically for the greater demands of DFI outboard engines. Not intended to be used in all applications specifying a TC-W3 oil. 1 Case (3) gallons. 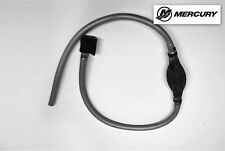 ¨ Attached elastic cord secures the flusher easily for one person operation. I'm happy to confirm the right application for you. Engine Flusher Nose Cone Motor Flush Outboard Inboard I/O. Patented design for low water pickup gear-cases. Indicates outboard cooling system water pressure. Also For Verado's equipped with analog gauge interface. Precision-seated waterproof face seals. Corrosion-Resistant cases and bezels. 14 pin male to 8 pin female adapter harness assembly and bracket kit. 30, 40 hp EFI 3-cylinder, 4-stroke & 40, 50, 60 hp EFI 4-cylinder, 4-stroke. For keys stamped: 1B. Ignition Key. Includes 2 keys. 5PC DRAIN PLUG SET. Complete with and all the necessary seals and o-rings, impeller and all new and improved wear plate with integrated rubber gasket. The two filters are located inside the fuel pump module and should be replaced annually. 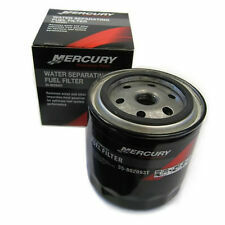 Part #'s: 35-8M0093688 Water Sepating fuel filter & 35-892665 Fuel Filter. Again calculator will show this. WE ARE A MARINE SALES AND SERVICE FACILITY. ALL SEASONS MARINE IS NOW A SYLVAN BOAT DEALER. If you own a marine vessel, you will eventually need to make some repairs. It is important to get the right part to ensure that your Mercury boat will operate smoothly even during the most difficult waves. From the engine to the outboard, you can find what you need. What Mercury parts are available? Are there parts available for the interior of the boat? Yes. You can find the specific pieces you need for the interior, cabin, and galley of your Mercury machine. If you need a specific color, you'll have many options to choose from. How do you choose marine lines? You should take the time to make sure that you are ordering the right type of rope for your specific uses. It's important to purchase a strong line that will not come undone easily while it is used for docking purposes. Choosing a line that is made of a synthetic material that will not degrade when wet and that is UV-resistant is important. What features are on the Mercury Smartcraft Vessel View? This is a great option for anyone who has a Mercury boat with an engine built from 2003 to the present. This device allows you to get all the pertinent information regarding your boat on your iOS or Android phone by connecting to Bluetooth technology. If there is an issue, this item will give you diagnostic information to help you pinpoint the problem-area quickly. When used properly, you can even display your RPMs, fuel economy, and read your pressure gauges. You can also use the GPS navigation tool to find nearby restaurants, fuel stations, and exact coordinates. Users can record special moments on the water, too. Does Mercury make tachometers and speedometers? Mercury does make several types of tachometers and speedometers. It’s important to order the right part the first time. The tachometer is used to measure the speed of the engine itself. The speedometer is used to determine the speed that the boat is traveling in nautical miles per hour. It is even possible to get a unit that has both of these measurement devices together. The majority of these items come complete with a wiring harness for fast and easy installation into your watercraft. The operation manual should help you use your tachometer or speedometer correctly.